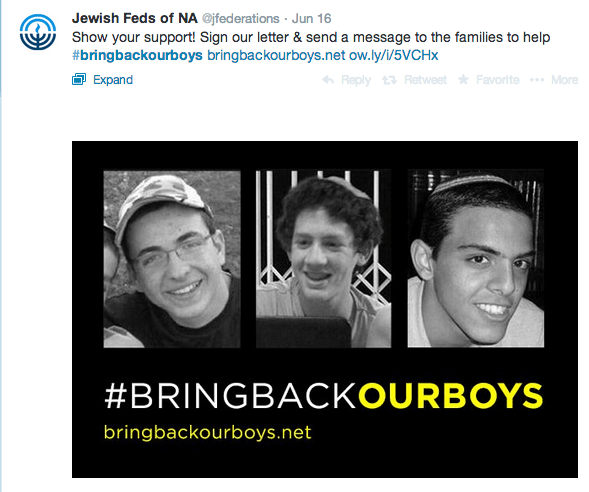 Internet Round-Up: Who Does #BringBackOurBoys Really Help? Home / Latest / Internet Round-Up: Who Does #BringBackOurBoys Really Help? International shock and anger resounded after last week’s kidnapping of three Israeli youths in the West Bank, widely attributed to Hamas and deemed a “despicable terrorist act” by John Kerry. 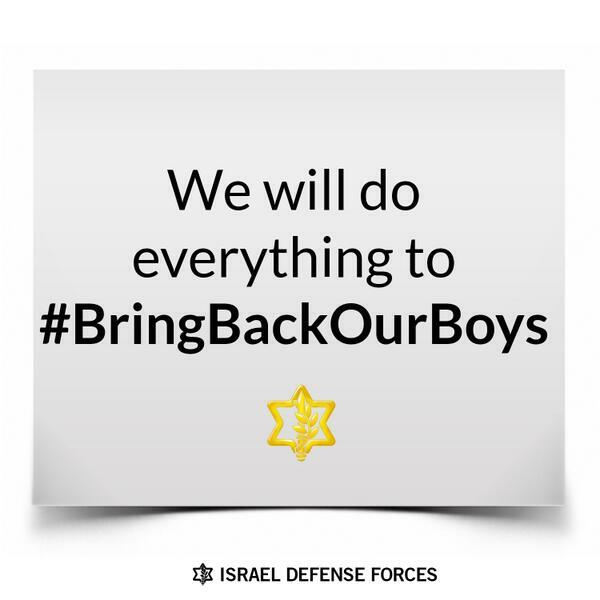 The flames of outrage have been fueled by a growing social media campaign known by the hashtag #BringBackOurBoys, launched by the University of Haifa Ambassadors in reference to the #BringBackOurGirls campaign that brought attention the 200 Nigerian schoolgirls abducted by terror group Boko Haram. The campaign has helped the Israeli kidnapping gain a similar viral awareness, with the hashtag receiving up to 2,800 Tweets per hour and the Facebook page up to 98,000 likes as of Wednesday. And its message — “Children deserve life without being kidnapped by terrorists,” in the words of Ambassadors Network founder David Gurevich — seems fairly hard to criticize. But, perhaps predictably, the campaign has still managed to spark controversy. The IDF’s adoption of the hashtag was like waving a red flag in front of pro-Palestinian activists, who rapidly “hijacked” the hashtag, loading it up with pictures of dead and injured children from their side, and laying out their plight. The Palestinians, for their part, launched their own social media campaigns, changing their Facebook profiles, posting pictures of themselves holding up three fingers to represent the three kidnapped Israelis. Very quickly, things descended into the regularly scheduled one-upsmanship that anyone who follows the conflict online is familiar with. “It has instant recall in the mind of the public, playing off of a rallying call we are already familiar with, and is helped with an extra dose of alliteration to boot. “Yes, a hashtag campaign may marginally increase awareness of the story. But is “calling attention” and “raising awareness” really the same as doing something? By papering the Internet with these hashtags, are Israelis and their supporters doing something to change the situation? Hashtag campaigns: problematic panacea or online community of change and support? Let us know what you think in the comments.